Our expert Dance Podiatrist, Sarah Bowling, discusses why a pre pointe assessment is an investment in your dancing longevity. A Pre- Pointe Assessment is a very valuable way to assess the readiness of each dancer for Pointe work as well as discuss with the dancer, teacher and parents ways to improve strength, flexibility and long term, prevent injury. As an experienced dance teacher I have seen far too many promising dance students suffer premature ends to their dancing through poor management of transitioning to pointe, poor strength in required muscle groups combined with poor prevention and management of dancing injuries. 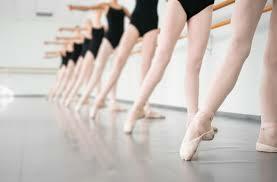 Undertaking a pre-pointe assessment by an experienced dance podiatrist is an investment into a dancers longevity. I recently completed an extensive literature review where there are some common abnormalities within the foot structure that may not become apparent until pointe activity causes aggravation. Careful screening and testing can help identify dancers at risk of injury and provide opportunity to identify muscle strength deficiencies and then plan a strengthening program. At Eastern Foot Care we can create a package to suit your dance school. Contact me at Eastern Foot Care – 9887 2233 – to discuss solutions for your dancers. In the initial pre pointe assessment I will go through a thorough exam to ensure that the dancer will be safe and strong when wearing Pointe shoes. For example, I will be looking at the years of ballet and dance experience to date, the dancers long and short term goals, previous injuries or medical conditions, strength, turnout, flexibility and bone development to name a few. If necessary I will send the dancer for an X Ray, Ultrasound or MRI to get a better idea of growth and bone development. With all of this information it gives me a great all round picture of the dancer and allows me to give tailored advice, stretching, strengthening exercises. I can then liaise with the ballet teacher to prevent injuries and maintain a long dance career.